Prior to establishing WTJ Law, Marshall was an attorney with McCormick Barstow LLP for nearly 40 years. During that time, Marshall has represented corporate clients, business owners, and professionals in complex litigation. Marshall has tried more than 50 jury and court trials in both state and federal court, arbitrated numerous protracted and complex business disputes, and has represented attorneys before the State Bar. He is presently a member of the Committee on Professional Responsibility and Conduct (COPRAC), a former member of the Mandatory Fee Advisory Committee to the State Bar, a past participant evaluator in the Early Neutral Evaluation Program for the United States District Court, Eastern District of California, and a former member of the American Arbitration Association panel of arbitrators. In his spare time, Marshall likes to read, golf, ride his motorcycle and ski. Marshall is admitted to the United States Court of Appeals, Ninth Circuit, and the United States District Courts for the Eastern District and Central District of California. Marshall is AV® Preeminent™ Peer Review Rated with Martindale-Hubbell. In 2015 and 2016, Marshall was recognized as a Top 10 Northern California Super Lawyer. He has been honored as a Top 100 Northern California Super Lawyer (2009-2014, 2017-2019) and has been on the Northern California Super Lawyers list since 2005 for his primary area of practice in Business Litigation. Marshall has also been recognized by America’s Top 100 Attorneys™. Marshall has lectured in programs for the California Continuing Education of the Bar, National Business Institute, and San Joaquin College of Law on such topics as professional malpractice, construction litigation, and civil procedure. 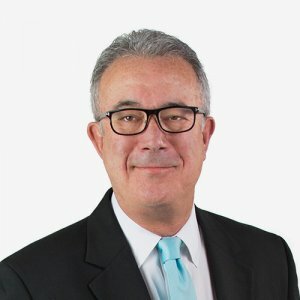 Marshall’s practice focuses on business and commercial litigation, corporate and partnership disputes, construction litigation, professional malpractice, including attorneys, accountants, directors and officers liability, and public entity defense. While primarily a trial attorney, Marshall also provides strategic advice and risk management counsel to businesses and professionals. Marshall also has substantial appellate experience, having argued several matters before both the Ninth Circuit Court of Appeals and several District Court of Appeals. Marshall is certified as a specialist in legal malpractice law by the State Bar of California Board of Legal Specialization. Marshall is a Fellow of the American College of Trial Lawyers (ACTL), a member of The American Board of Trial Advocates (ABOTA), and a member of the Fresno County and American Bar Associations. He is a former member of the Executive Committee of the San Joaquin Valley Chapter of the Federal Bar Association (past President) and is a former President of the Association of Business Trial Lawyers, San Joaquin Valley Chapter. He is also a member of the Fresno County Fee Arbitration Committee (past Chairman), a former member of the Civil Justice Reform Act Advisory Group for the United States District Court, Eastern District of California, and was a Lawyer Delegate to the U.S. Court of Appeals for the Ninth Circuit from 1992 to 1995.